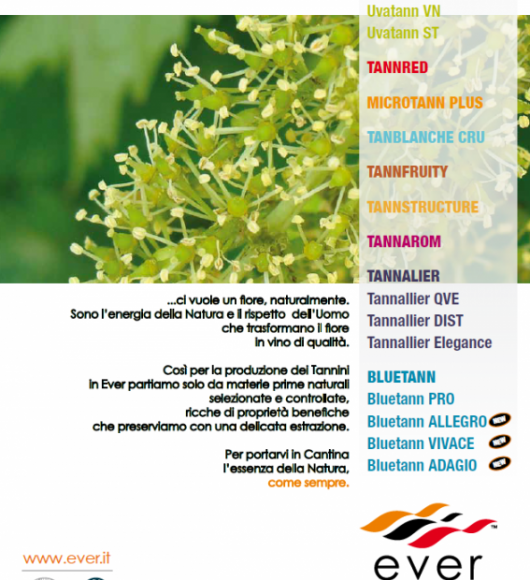 EVER has been the first company to introduce the grape tannins into the Italian market. Intec also was recognized by the market for its expertise and for the quality of its oenological tannins and technologies in the refining field of applications. By merging the technologies of the two companies, EVERINTEC is able to offer the widest range of oenological tannins and wood chips to meet all the winemaker’s needs. With the expertise and the experience acquired, we can provide a personalized service on fermentation and aging of wines, so that objectives such as stabilization of color, contribution of structure, antioxidant effect and sensory balance can be achieved. 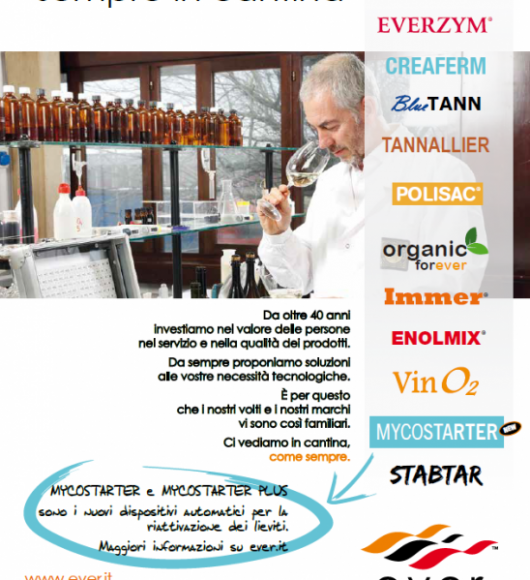 MICROTANN is a precious oak tannin powder easily soluble in water and wine, with an astringent-sweet taste. TANNREDOX is a hydrolysable gall tannin, of a light brown color, easily soluble in water or wine. UVATANN NG is a tannin which enhances the wine structure, increasing the length of tasting in mouth and making stronger natural protection against oxidations. Use of UVATANN NG permits to have more equilibrate wines, decreasing the vegetal notes and bitter sensations. With higher doses, the mouthfeel increases and imperfections decrease. UVATANN NG is really useful during colour stabilization in red vinifications. 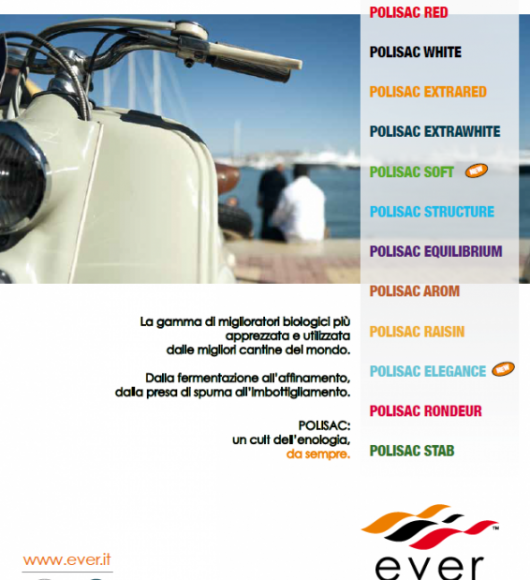 TANNSTRUCTURE is a tannin designed for refining, extracted from valuable oak woods. It is a chamois-coloured powder, easily soluble in water and wine, with an astringent-sweet taste. TANNSTRUCTURE has a high surface electric charge. UVATANN ST is grape tannin extracted according to an accurate procedure that allows keeping the original chemical and organoleptic characteristics. UVATANN ST is a tannin particularly suitable for protecting the rosé and red wines from oxidation, starting from the first phases of vinification, and it helps for a proper refining during the following process phases.